Home All About Exabytes Exabtyes Superheroes’ve Arrived With All-In-One EBiz Power Hosting! 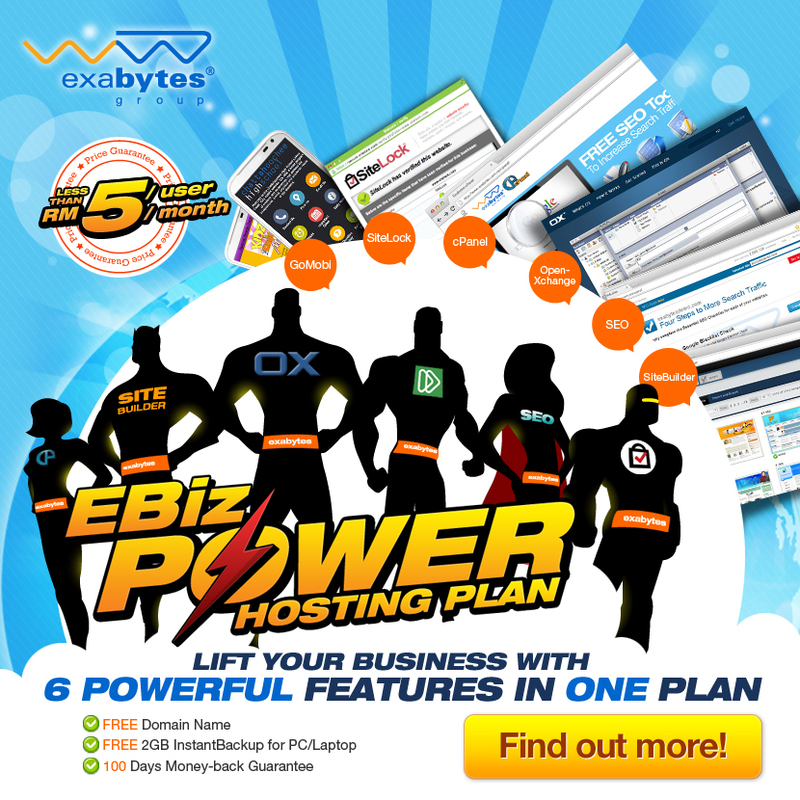 Exabtyes Superheroes’ve Arrived With All-In-One EBiz Power Hosting! Fuel Your Biz Growth with 6 SUPERPOWERS in a single All-In-One Power Hosting Plan! EBiz Power Hosting Plan which promises completeness and more value will cover all your web hosting and business needs in website exposure, website management, website security and many more! A groupware that that allows you to store appointments, contacts, tasks, emails, bookmarks, documents and many more. NOW with FREE Lifetime Domain & 30% Discount! FUEL YOUR BIZ GROWTH & IMPROVE EFFICIENCY TODAY! Previous articleYour Password is Strong. REALLY?